Picture a Day - The Holy Land Revealed: Why Was a Ton of Matza Delivered to the US Army's 77th Division in France during World War I? 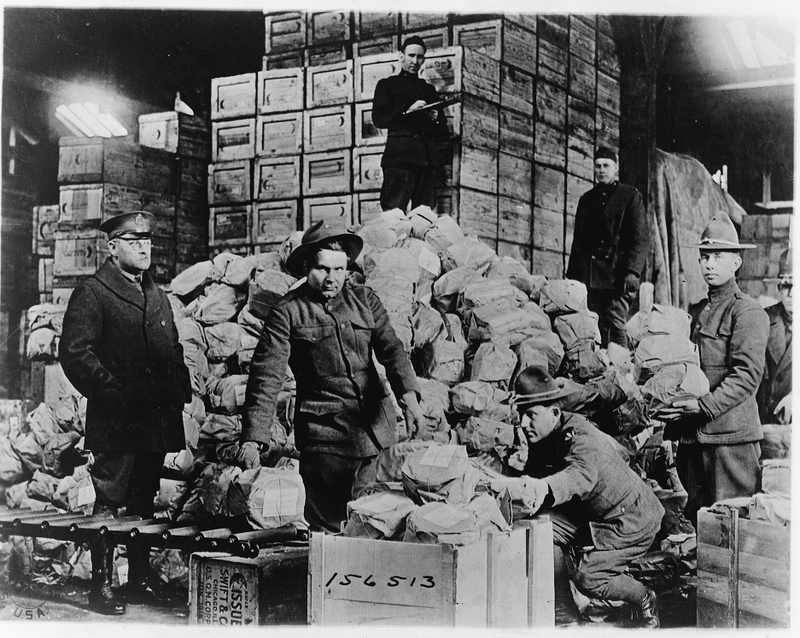 Why Was a Ton of Matza Delivered to the US Army's 77th Division in France during World War I? at Warehouse #40, Q.M.C. Depot, St. Denis [France] / Signal Corps. U.S.A."
The Jewish tradition of eating matza (unleavened bread) on Passover is so profound that the armed services of several countries provide Passover supplies to their soldiers even at the front. 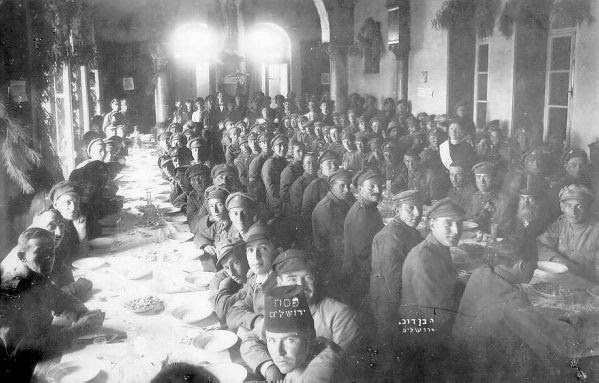 That's the practice in Israel, for sure, but the archives of several libraries provide pictures of Jewish soldiers observing Passover in the British and American armies during World War I, almost 100 years ago. But when we saw the picture above of perhaps a ton of matza sent to American forces in France we wondered why so much was required. ﻿﻿﻿﻿Thanks to the archivists at the Library of Congress' Prints and Photographs Division for acceding to our request and digitizing and publishing the U.S. army photograph above online. The 77th Division and the "Lost Battalion"
The 77th Division was made up of draftees from the New York City area, one of the first draftee units deployed in combat in World War I. 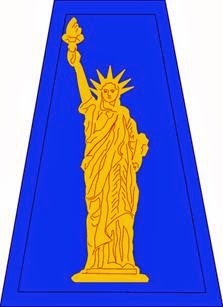 They assumed the name "Metropolitan Division" or the "Statue of Liberty Division." Many of the men had lived a tough hardscrabble life on the streets of New York, perhaps a factor in their surviving a hard-fought battle in the Argonne Forest in October 1918 where the Division's "Lost Battalion" was surrounded by German troops and held out for a week without food and water. In a 2001 film about the "Lost Battalion," the men were described as Irish, Italian, Jewish, and Polish "gangsters." Of the battalion's 550 men, almost 200 were killed and 150 were captured or missing. A Jewish chaplain, Rabbi Lee J. Levinger, served in France during World War I and wrote that the 77th Division had "thousands" of Jewish soldiers -- for whom the matza in the picture was intended. "Where it will not interfere with the public service, members of the Jewish faith serving with the American Expeditionary Forces will be excused from all duty from noon, April 14th, to midnight, April 16th, 1919, and, where deemed practicable, granted passes to enable them to observe the Passover in their customary manner." The full program included a Seder, four services, a literary program, a vaudeville show, a boxing exhibition, two dances and a movie.... But certainly the most popular of all was the Seder. The soup with matzah balls, the fish, in fact the entire menu made them think of home. We held the dinner in an army mess hall, standing at the breast-high tables. The altar with two candles and the symbols of the feast was at the center of the low-roofed unwalled structure. Toward evening the rain, so typical of winter in western France, ceased; the sun came out, and its last level rays shone directly upon Rabbi Kaufman and his little altar. It was a scene never to be forgotten, a feast of deepest joy mingled with solemnity. Afterward we adjourned to the Theatre Municipale for a full religious service with a sermon. "We began to be afraid the division had forgotten us or that they had given us up for dead. We had to get a messenger through. It meant almost certain death, we were all sure, because over a hundred and fifty men had gone away and never come back. But it had to be done. The morning of the fifth day they called for volunteers for courier. I volunteered and was accepted. I went because I thought I ought to. First of all I was lucky enough not to be wounded. Second, after five days of starving, I was stronger than many of my friends who were twice my size. You know a Jew finds strength to suffer. Third, because I would just as soon die trying to help the others as in the 'pocket' of hunger and thirst. "I got my orders and started. I had to run about thirty feet in plain view of the Germans before I got into the forest. They saw me when I got up and fired everything they had at me. Then I had to crawl right through their lines. They were looking for me everywhere. I just moved along on my stomach, in the direction I was told, keeping my eyes open for them.... It was almost six o'clock that night when I saw the American lines. All that day I had been crawling or running doubled up after five days and nights without food and practically nothing to drink. Then my real trouble began. I was coming from the direction of the German lines and my English is none too good. I was afraid they would shoot me for a German before I could explain who I was.... Then the Captain asked me who I was. I told him I was from the Lost Battalion. Then he asked me whether I could lead him back to the battalion. I said, 'Yes.' They gave me a bite to eat and something to drink and after a little rest I started back again with the command. I will never forget the scene when the relief came. The men were like crazy with joy." Watch "The Lost Battalion" Movie here. Rabbi Levinger described another incredible event during the fighting: A soldier in a famous fighting division ... sought a private interview with me. It seems that in the advance on the St. Mihiel sector he had rescued a Torah, a scroll of the Law, from a burning synagogue. Throwing away the contents of his pack, he had wrapped the scroll up in the pack carrier instead, and carried it "over the top" three times since. Now he wanted permission to take it home to give to an orphan asylum in which his father was active. 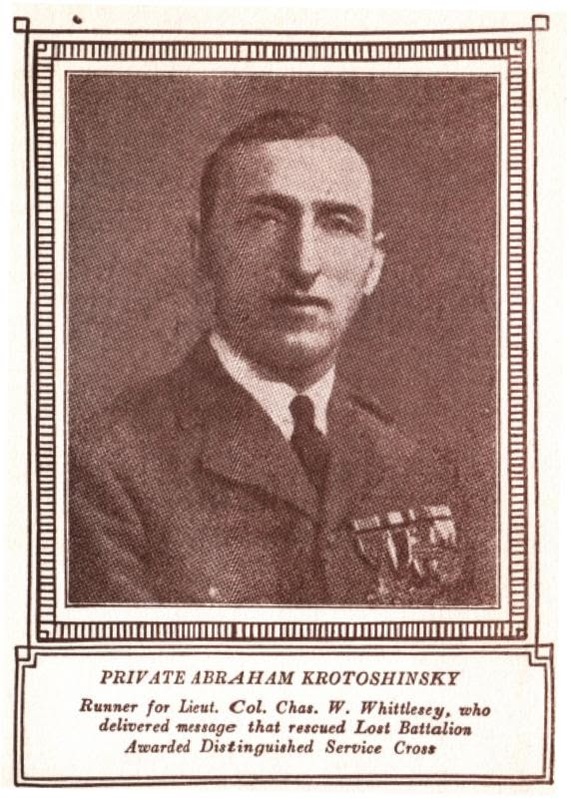 A soldier was not ordinarily allowed to take anything with him besides the regulation equipment and such small souvenirs as might occupy little room, but in this case a kindly colonel became interested and the Torah went to America with the company records. Responsible archivists and librarians digitize the historic photographic treasures in their institutions. Matzos: Jewish Instant Temporary Filling.